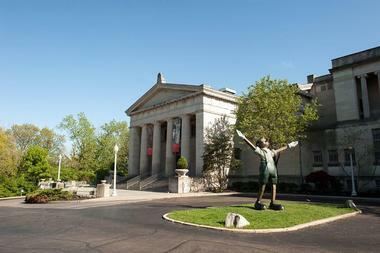 In May of 1886, the Cincinnati Art Museum opened to the public and was heralded as the Art Palace of the West. This Ohio museum has since amassed over 67,000 pieces that celebrate over 6,000 years of culture around the world. 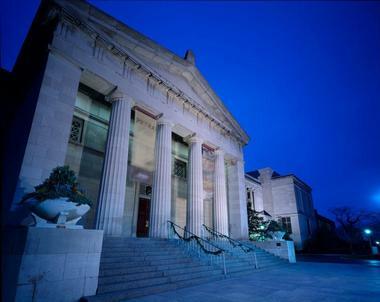 The first major expansion of the Cincinnati Art Museum was in 1907. Three more subsequent wings were added into the 1930’s and the halls where American, European, and Asian works are exhibited. The 1940-1965 era was another time of expansion for the Museum and lecture halls, the auditorium, and another wing for the remaining pieces of the permanent collection were added on to the museum and divided the great hall into two separate floors. 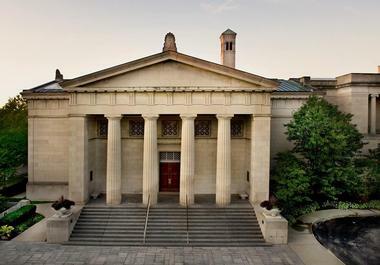 A thirteen-million-dollar renovation was undergone in 1993 and the architecture was restored to its original grandeur, and climate controls were upgraded. The Cincinnati Art Museum volunteers have dedicated thousands of hours of time to create the online database of the comprehensive collection at the museum. All 67,000 items can be viewed online through the museum’s website. African Art Collection contains 1,300 pieces of art relevant to Africa prior to the late 1800’s. The collection was acquired by the museum in 1890. There are more modern pieces in the exhibit has well that have been collected over the last century that have high aesthetic appeal. American Painting and Sculpture displays painting and sculpture that were done by Americans in America with a preference to artists that have roots or ties to Cincinnati. Hiram Powers, Henry Mosler, Elizabeth Nourse, and Childe Hassam all have their works in this museum. The American sculpture is not as represented by has a very high quality. Miniature portraits are also featured in this exhibit. Asian Art Collection contains some of the oldest Asian works found anywhere in The United States. 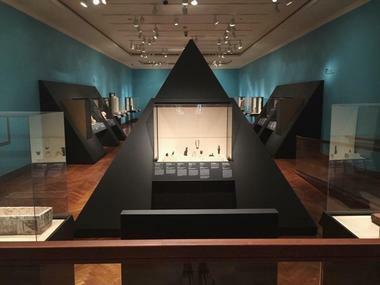 India, Japan, China, Korea, Thailand, Tibet and other areas of south East Asia are represented in this exhibit of over 5,000 artifacts and works. Chinese art is the focal point of this exhibit with over 1,000 items on display that cover over 5,000 years of history. Visitors can see bronze and Jade works, Neolithic pottery, Buddhist sculptures, screen prints and metal wares. Classical and Near Eastern Art features art from the Mediterranean and Near East. Stone sculpture, decorative arts such as metal work, wall carvings and ceramics from Egypt, Greece and Rome are the features of this exhibit. Contemporary Collection is the only contemporary art exhibition in the state of Ohio and features the works of Mark Bradford, Cindy Sherman, and Frank Stella to name a few. There are many medias displayed in this exhibit. Decorative Arts and Design were among the very first artifacts that were acquired by the museum in 1881. This collection features over 7,000 pieces of fine art from the Western World and going back as far the 18th century. European Painting and Sculpture at Cincinnati Art Museum is highly acclaimed for its Renaissance masterpieces from renowned artists such as Mantegna and Cranach the Elder. There are also important works from the Baroque period in this collection with a focus on 18th century British Painting. Famous pieces from Monet and Van Gogh are also prominently featured in the collection also. 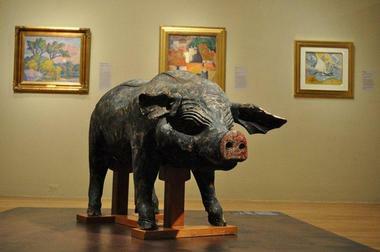 Modernism is a favorite part of this exhibit where Picasso and Matisse can be found. Fashion Arts and Textiles is a collection of over 15,000 artifacts that have been collected since the beginning of the museum’s history in 1881. Textiles from famous fashion designers such as Dior, Balenciaga, and Chanel as well as many other designers from the past several centuries of couture designs. Dolls and Jewelry are also featured in this collection. Musical Instruments Collection contains nearly 1000 musical instruments from all over the world. These pieces span 400 years and represent over 30 cultures. Because of the vast amount of culture this exhibit contains, it is the most important exhibit in the museum in terms of anthropology. Native American Art started with the donation of artifacts from community members when the museum officially opened its doors in 1886. Some of the earliest Pueblo paintings are found in this collection as well as traditional and modern pottery and clothing. Photography wasn’t collected at the Cincinnati Art Museum until 1899, three years after the first photography exhibit at the museum. Photography that span every invention in the art is featured in the collection all the way back to salted-paper print. 19th century travel photography is what the collection is rich in. Prints and Drawings all the way back to the 15th century are found in this collection but the 20th century Japanese works are the highlight. Along with the samplings of the permanent collection, there are several exhibitions that are put on throughout the year. Some of the exhibitions overlap and some may be displayed longer than others. Employed: A Staff Art Exhibition recognizes the art work of 200 employees and volunteers at the museum. Many of the artists are working in contemporary arts, fashion, photography and print design. Van Gogh: Into the Undergrowth focuses on one work by Vincent Van Gogh, Undergrowth with Two Figures. The exhibit seeks to answer why the forest was an important aspect in Van Gogh’s painting, and how the artist evolved through his decades of paintings. Over 20 different works are being loaned to this exhibition from many other countries as well as the works of Monet and other artists who inspired Van Gogh. Kentucky Renaissance: The Lexington Camera Club and Its Community, 1954-1974,is a large exhibit that features books, photographs, posters, prints, and other works that were all made in Lexington, Kentucky. The exhibit is part of a regional celebration of photography. The Book of Only Enoch and the Jackleg Testament, Part 1; Jack and Eve is a collection of 20 prints that chronicles the life of the son of a Jewish coal miner, Only Enoch, who lives in Kentucky. The boy is named after the only book left out of the Hebrew Testament. The artists motion picture of the same theme will also be shown. Island of the Blest features photography from the American West. Taken over a century of time from 1870-1970 this exhibition features photography from acclaimed American photography Dorothea Lange and Timothy H. O’Sullivan. All items were digitally sourced for this display and come from the Library of Congress and other reputable sources. Not in New York: Carl Solway and Cincinnati is a dedication of contemporary art from the permanent collection that was relevant to Car Solway who helped to transform the modern arts scene in Cincinnati. Some of the works will be on display for the first time and over 50 works total are included. Master Cats displays works from over six centuries that depict felines in the pieces. 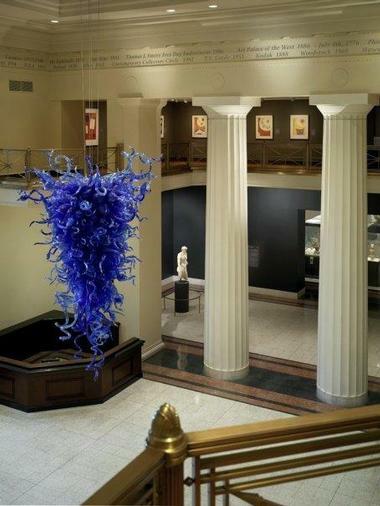 The Tree of Life sculptural piece will be on display again at the museum. Visitors should write their wishes for the new year and put them in the vials that hang from the branches of the crab apple tree. 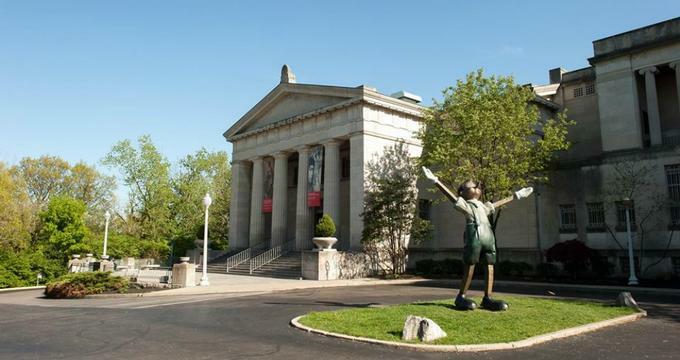 There are many opportunities available to tour Cincinnati Art Museum for the entire community through the accessibility programs that provide interpreters and special docents for families with autistic children or other special needs. There are lectures, workshops, tours and other special events throughout each month that are tailored for adults and university learners. Art After Dark provides live entertainment, refreshments and tours the last Friday of every month. There are also film nights, team building workshops for corporate businesses, and hands on interactive art making experiences in the gallery. There are also family programs where smaller children can come and enjoy art with their parents and teens can participate in peer lead tours and discussions throughout the museum. Summer camps are available by age group every summer. 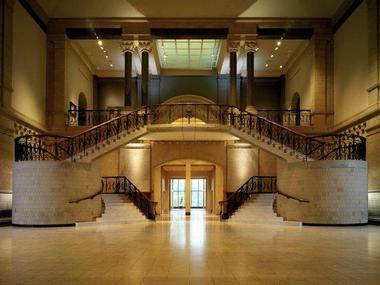 There are also three major fundraisers held by the Cincinnati Art Museum annually including the Van Gogh themed Gala. This event features a tour through the new Van Gogh special exhibit, a delicious gourmet dinner and silent auction. The Cincinnati Art Museum is dedicated to community outreach and hosts special presentations in schools and lecture halls in the city. The speakers Bureau is a mobile museum where art can be brought into the life of anyone. 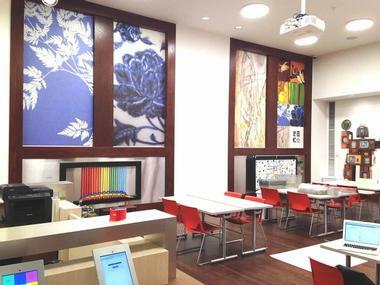 There is a café and a coffee shop located inside the museum. Terrace Café serves food inspired by the art found in the museum with indoor and outdoor seating available. CAM coffee bar serves chocolate and desserts with coffee in the main lobby. There Is a gift shop with many art related gifts for any budget that can be found near the museum exit.